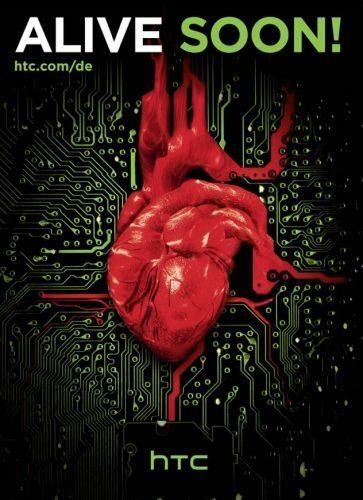 We have seen some creepy things in our time, but a fleshy heart sitting on a circuit board is right up there in the weird factor. This is a new advertisement for HTC and their poster says “ALIVE SOON”, this surely has something to do with the launch of the HTC M7 smartphone. The HTC teaser poster is strange, but what does the heart and the circuit board mean? Is it simply the HTC M7 coming alive or is it a totally new product releasing that we do not know about, nine times out of ten we all know what is coming and maybe HTC has kept this under wraps with a select few knowing. Now look at the screenshot we done, we have pointed out something that looks like the number 7, if this is the case then we have no doubt that this event will reveal the HTC M7. Do you agree or disagree? Please save the date for February 19th because this is when the dedicated event will kick off apparently, the poster also shows htc.com/de. 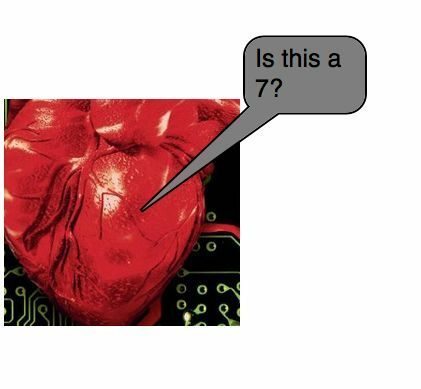 This one is a mystery but we are hoping that is a 7 on the heart attached to the teaser poster, please do cast your theories now. If it is the HTC M7 then expect key features to include quad-core 1.7GHz Qualcomm Snapdragon processor, 32GB of internal storage plus a microSD slot for expandable storage, 4.7-inch full HD display with resolution of 1920 x 1080, Android Jelly Bean, 2GB of RAM, 2300 mAh battery, LTE, NFC, HTC Sense 5.0 and a 13-megapixel rear camera.